This is a marvel of a collection, the words deep-set, tamped into place, or else "sliced clean from the bone." 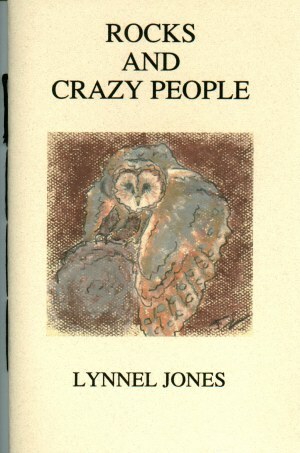 Lynnel Jones makes astonishing poems out of narratives of staggering loss. Her poems recover the sensations of life lived to the hilt--with fidelity to the body and its power to endure, and to words and their power to redeem. practice ovals. Never a cross-out. A hell of a nerve! Me here. And the Gods? Lynnel Jones holds degrees in English and education and advanced degrees in divinity and law. She is retired to the Pocono Mountains where she raises and shows dogs, gardens and writes. She has been a featured reader at the Firehouse Theater in Bethlehem, Pennsylvania, the Riverside Festival in Easton, New Jersey, the Greater Lehigh Valley Writers Group, and the Lehigh Valley Writers Academy. For the past three years she has been a guest lecturer in poetry at Moravian University Graduate School. Her poems have been published by Goose River Press, Points East Annual Poetry Review, The Lehigh Valley Literary Review, Flutter Poetry Journal and Watershed.